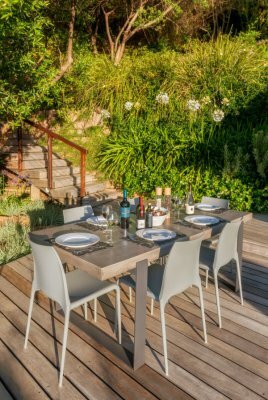 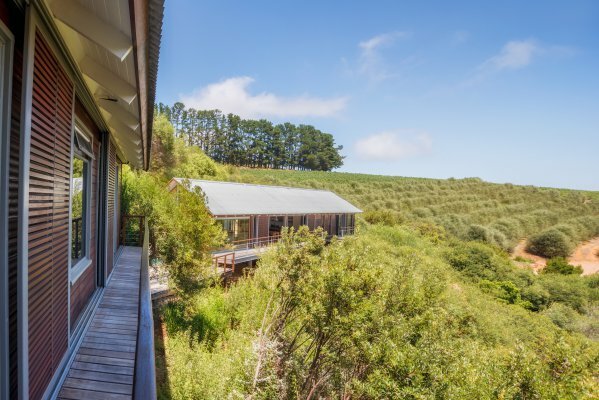 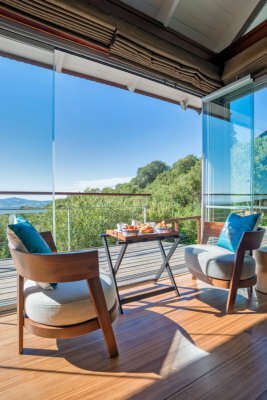 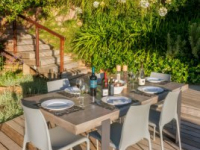 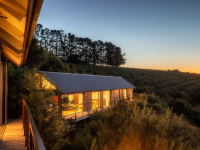 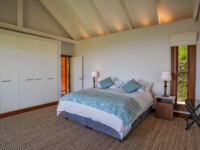 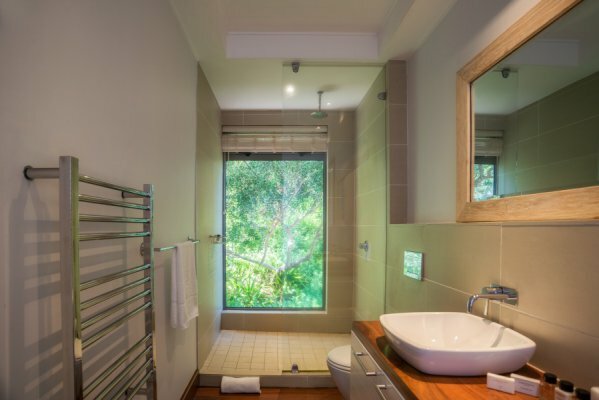 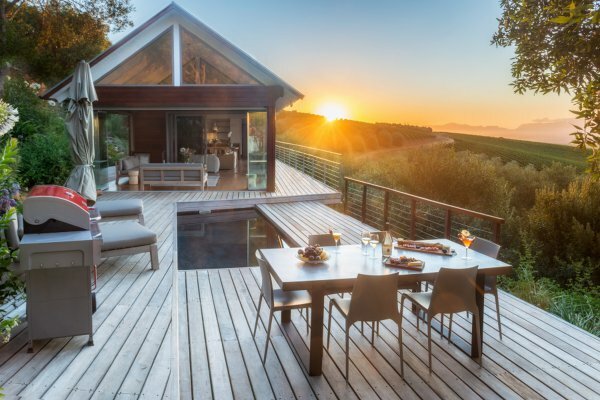 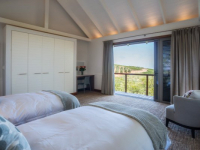 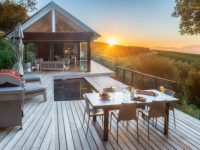 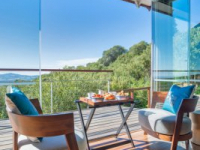 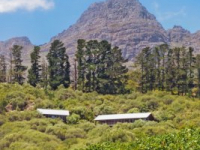 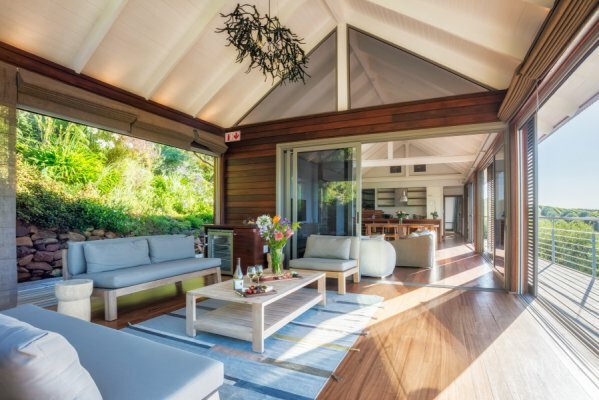 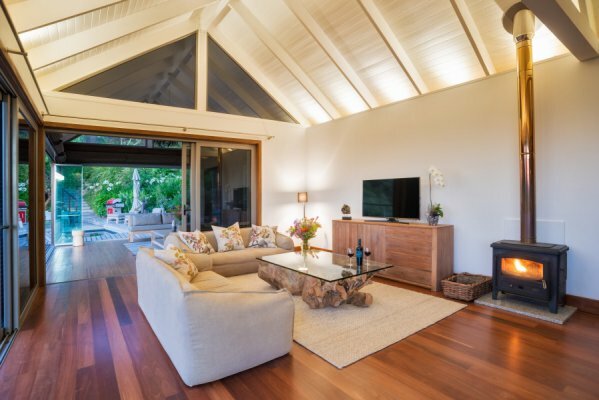 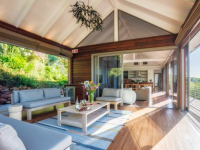 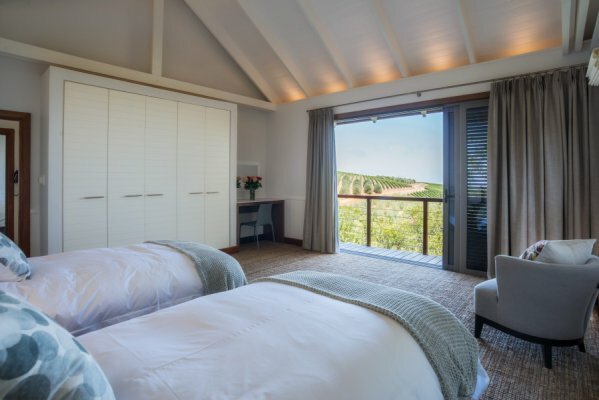 Bush Lodge at Hidden Valley Wines is a stylish 3-bedroom lodge in the winelands of Stellenbosch, tucked away on the slopes of the Helderberg Mountains on the Hidden Valley Wines estate. 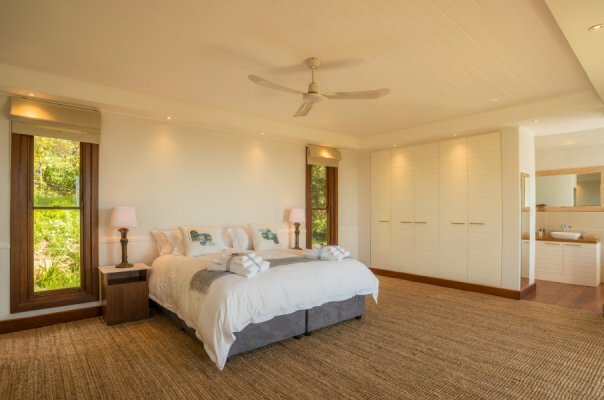 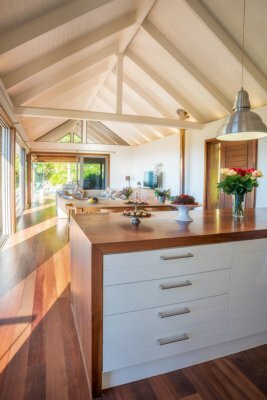 Available on a sole-use basis and sleeping up to 6 guests, the lodge is an ideal escape for a family or group of friends in search of a luxurious self-catering haven close to nature. 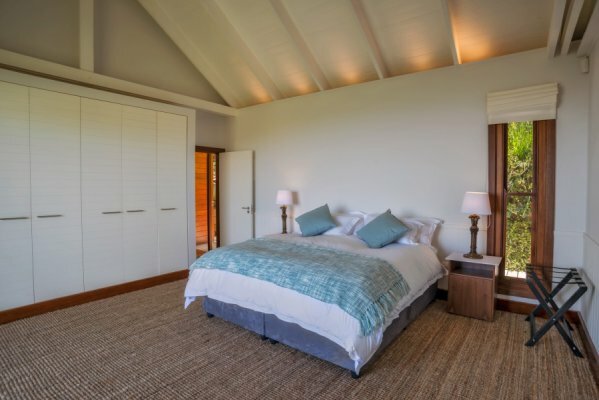 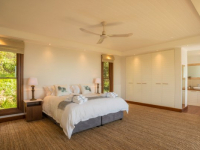 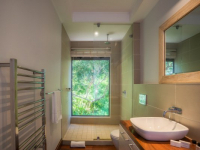 The main lodge consists of the main bedroom en-suite, plus equipped kitchen and living areas, whilst the cottage beside it features two bedrooms. 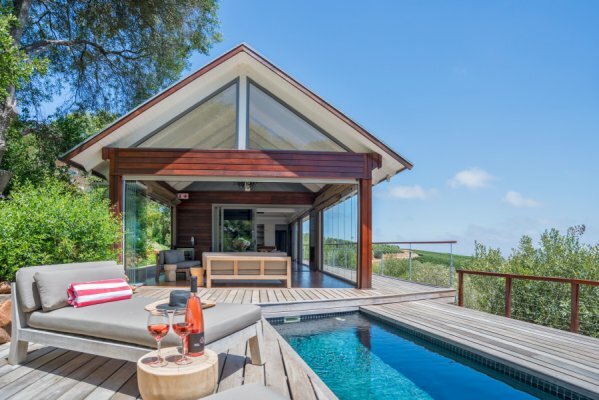 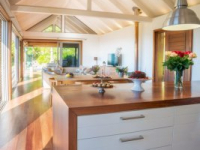 A pool deck links the two areas and offers sublime vineyard and mountain views. 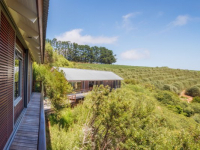 Enjoy wine tastings, cellar tours and restaurant dining at Hidden Valley Wines. 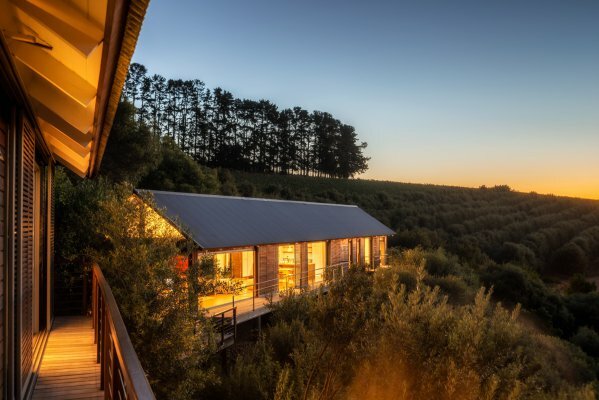 There's currently no specials at Bush Lodge at Hidden Valley Wines. 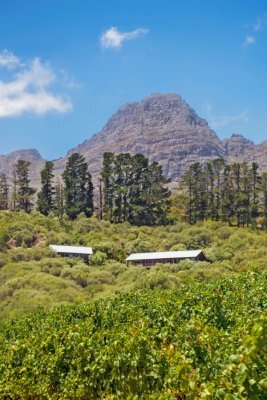 Hidden Valley Wines has a boardroom accommodating 22 people, a vinoteque accommodating 10 people, and a cellar accommodating 50 people.